(A) Periapical radiograph showing working length determination of #25 and two supernumerary teeth. (B) Periapical radiograph illustrating the working length determination of #26. (C) Postoperative periapical radiograph. (D) 44-month follow-up periapical radiograph. 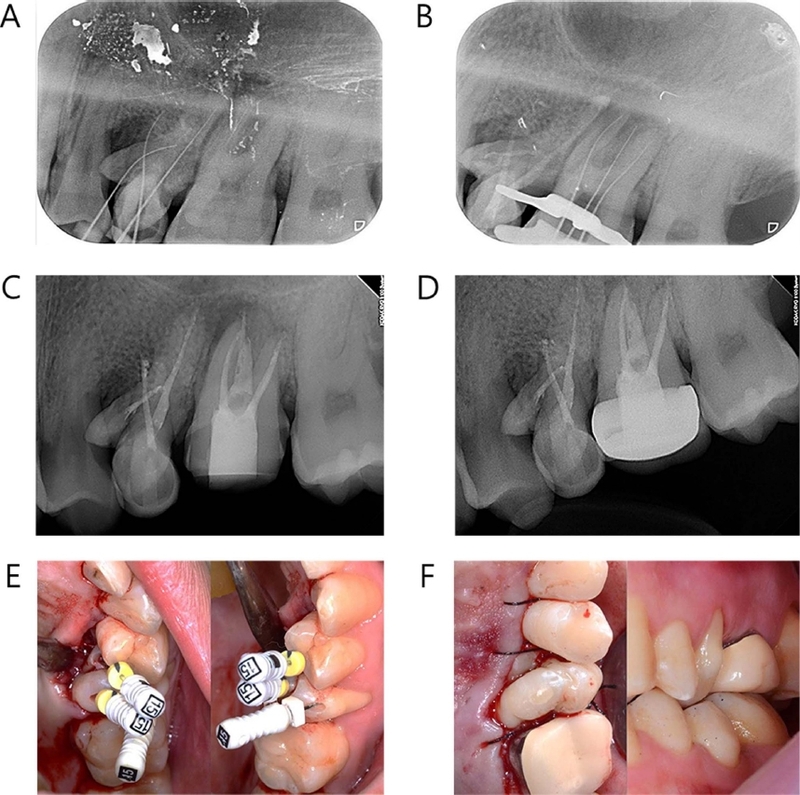 (E) Clinical image illustrating working length determination of #25 and two supernumerary teeth with open flap. (F) Postoperative clinical photograph.